Spring is upon us and the festivities are underway! Have you gone on your first Easter Egg hunt of the year yet? 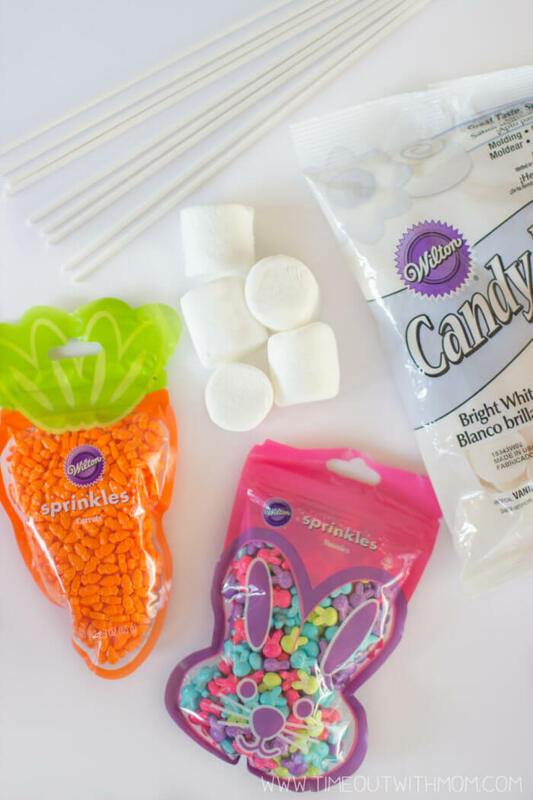 Have you prepped your kids’ Easter Baskets? 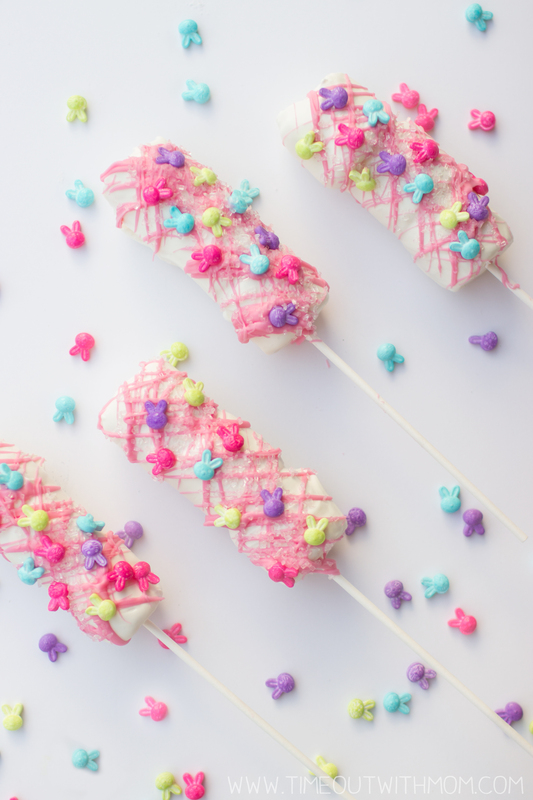 If not, check out this easy recipe and include these yummy treats for your little ones. How is it that we are already in April and Easter is right around the corner. I swear, it was just New Years! Sometimes, I just wish I could slow the clock. I came across this photo the other day and can’t believe how much she has changed in just three short years. 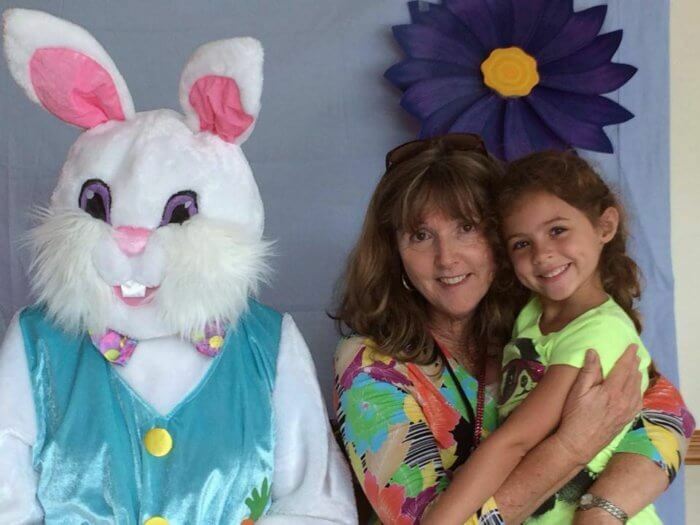 This photo was taken at a school Easter party with one of her teachers, Ms. Julie, who we have since lost and miss terribly. Our Pre-K experience was great because of her and Ms. Lisa. The amount of love given to Bunbun during that time was more than anything I could have ever asked for or expected from a teacher/school. It’s because of them that we had a smooth transition into Kindergarten. And this year, I’ll be doing it all over again with my little guy. Now, let’s get to the wands! 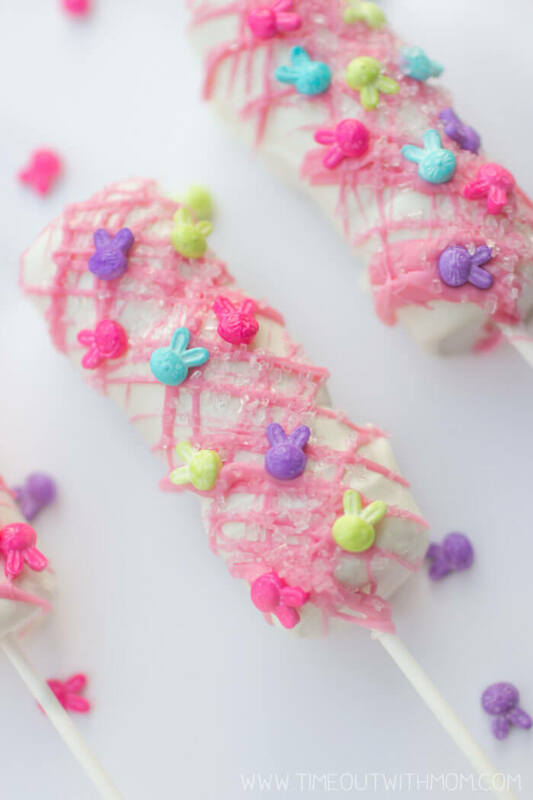 Enjoy your Easter Marshmallow Wands or package for basket distribution. My kids love marshmallow wands and they are so simple to make. You can make them for any occasion and/or holiday. 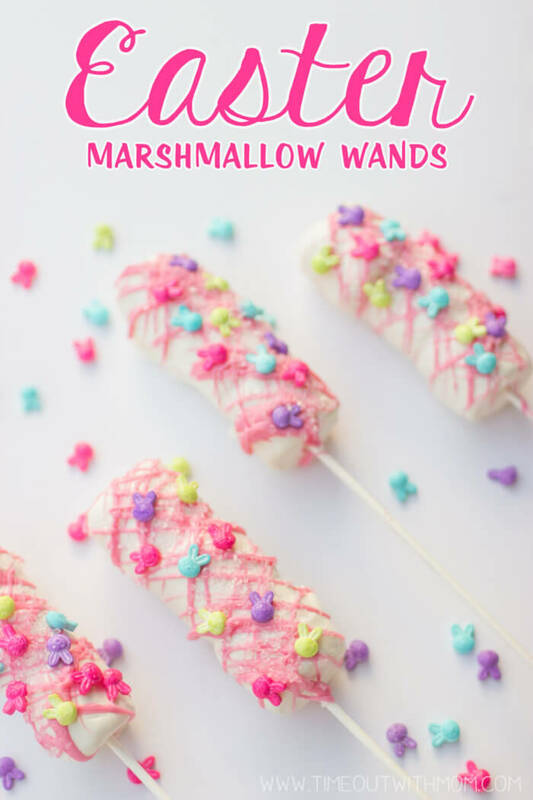 Have you made marshmallow wands before? 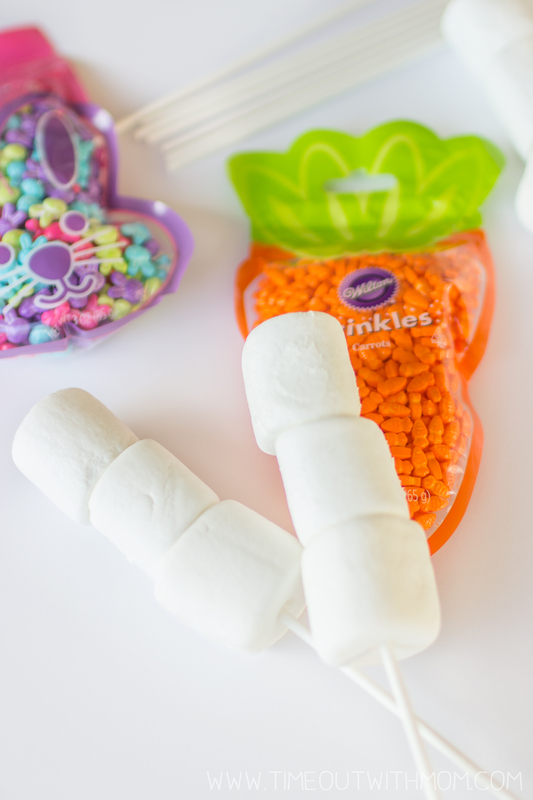 You can also substitute the marshmallows for fruit if you’d like. 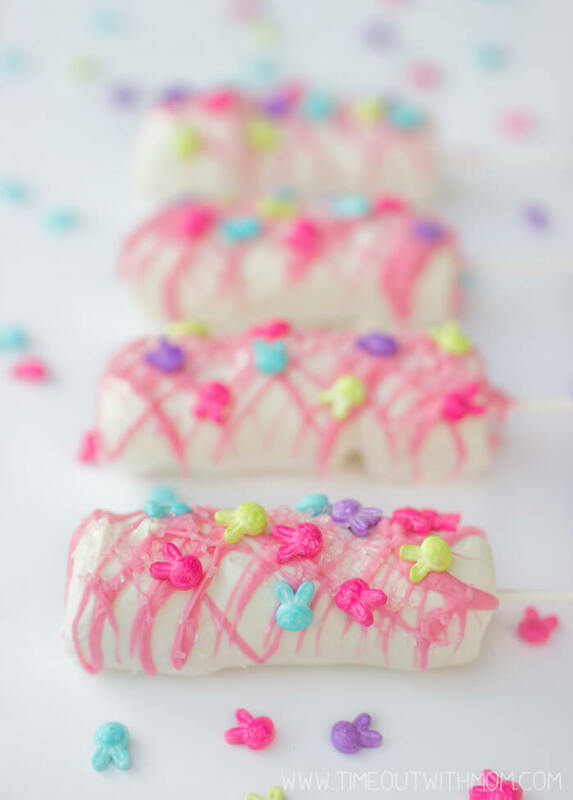 I’ve done this for Valentine’s Day and they make the perfect sweet treat!